and Velazquez, the Parque del Buen Retiro, a park sometimes referred to as the “lungs of Madrid,” the Royal Palace, and the Plaza Mayor. Although the Plaza isn't the biggest in Spain (that title goes to the plaza in Salamanca), it certainly is the most famous, having held numerous events throughout history from Inquisition trials to more recent headline concerts. Madrid has a highly efficient metro system that allows visitors to move around the city quickly, providing visitors with a good way to see the sights. Visitors also enjoy visiting Santiago Bernabeu stadium to watch the world famous Real Madrid football squad take the field. Once the sun goes down, there is a multitude of things to do with the legendary Spanish nightlife at your fingertips. Food in Madrid is decidedly Spanish; that is, lots of jamon, bread, soup, fried fish, and potatoes. Hotels and hostels are abundant in Madrid, with some of the most famous lying in the Gran Via-Sol area of the city. 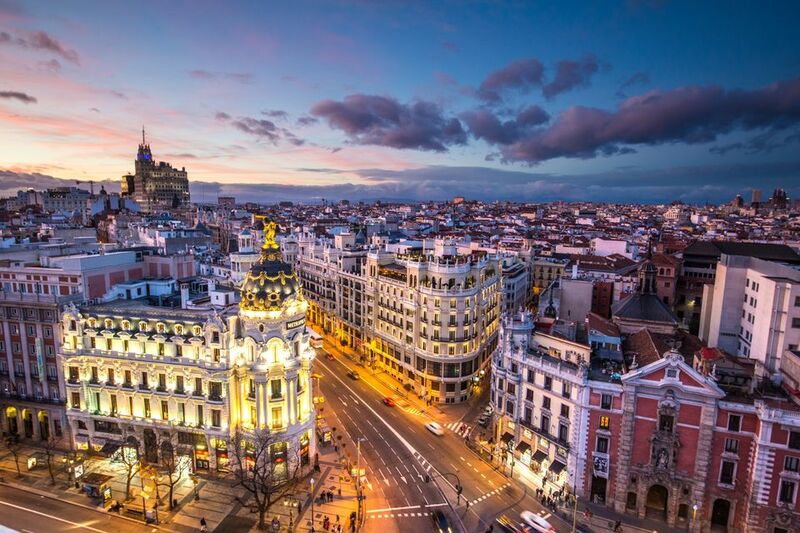 Madrid is a bastion of Spanish tradition and culture, making it a fantastic place to visit. September/early October, in particular, usually have plenty of warm days, perfect for dining al fresco without the swarms of backpackers. The city's packed cultural calendar means there will always be something going on, no matter when you go. If you'd like to be in town for one of the bigger festivals, try Three Kings in January, San Isidro celebrating Madrid's patron saint in May, and the Autumn Festival in October. I loved Madrid! Friendly, beautiful people. So much to do never boring. Great night life. Fabulous food. I cannot wait to come back! Madrid is so beautiful & clean!!! Loved this park and taking the train to get there was so simple, this park reminded me of Central Park! Madrid is a pretty city, but there are no worthwhile attractions from what I've seen in Madrid. I saw everything worth seeing in about 2 days. I lived in Madrid for 3 years and it is one of my favorite places in the world. There is something for everyone, so many different neighborhoods, it is well worth exploring and you can always find something new! One of the best places in spain. Lots of cultural places and good food to try.